1. A competition for five regional, rural and remote Australian communities to apply for Daniel to spend a week in their community helping them find better ways to challenge homophobia and support local LGBTI people. 2. 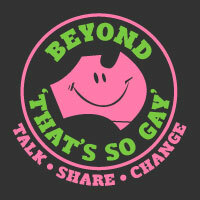 A call for local regional, rural and remote areas to map their own communities for their LGBTI Inclusiveness [to be officially launched in March 2013]. 3. A library of LGBTI stories from regional, rural and remote communities to highlight the good, the bad and the ugly, and help us plan for the future. 4. The world’s first LGBTI TEDx event (to be confirmed, currently being considered). 5. A National Challenging Homophobia Roundtable of mainstream, philanthropic and LGBTI orgnaisations and individuals. This entry was posted in Uncategorized on January 22, 2013 by Dan.